WinRAR for Windows 7 - A program for archiving data with support for most known compression formats. The utility integrates into the operating system explorer, can pack files of any size, and is capable of creating multivolume and encrypted archives. The application includes its own file manager, preview module, repacking and extracting information into a temporary folder. The utility uses the computer’s hardware resources when compressing and decompressing large data, supports loading user profiles, managing via the command line, and customizing the appearance. 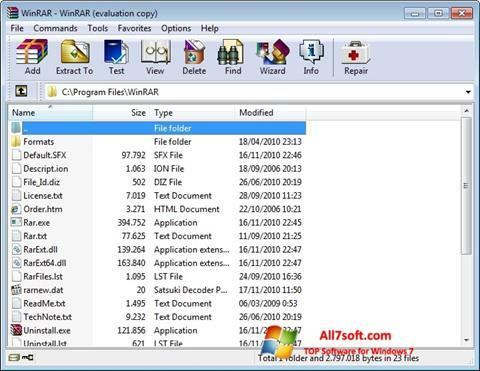 You can free download WinRAR official latest version for Windows 7 in English.